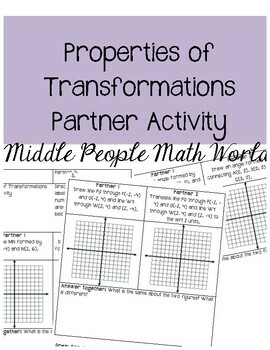 Students will work with a partner to discover that lines are taken to lines, angles are taken to angles, and parallel lines are taken to parallel lines! 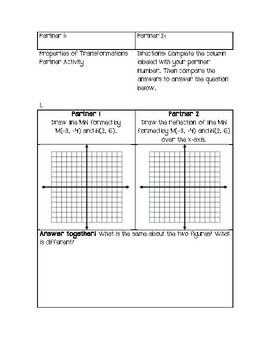 Each partner will be responsible for a specific graphing task. 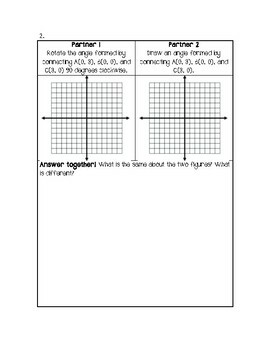 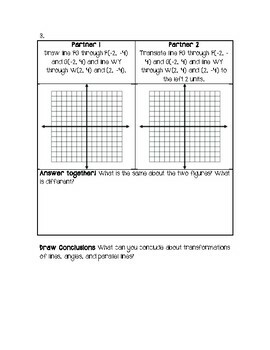 Then students will work together to determine similarities and differences between the graphs.